As I mentioned in the earlier post, I was unable to step out of the house for four continuous days due to cold, cough and fever. Staying at home, lying down the whole day and eating the food served for patients. To get rid of this boredom, I completed reading: The Diary of a young girl by Anne Frank. The Diary of a Young Girl is an autobiography of Anne Frank during the Nazi occupation in Netherlands. The Diary was originally written in Dutch and was later translated to several languages after her death. 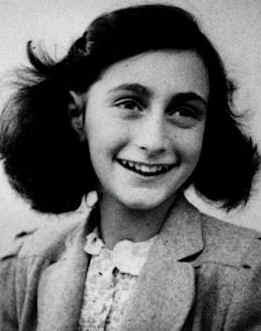 Anne was born on June 12, 1929, to Otto Frank(Anne's Father) and Edith Hollander(Anne's Mother) in Frankfurt, Germany. She had an elder sister: Margot. Anne was gifted a diary on her 12th birthday and she begins to record her life in her diary. 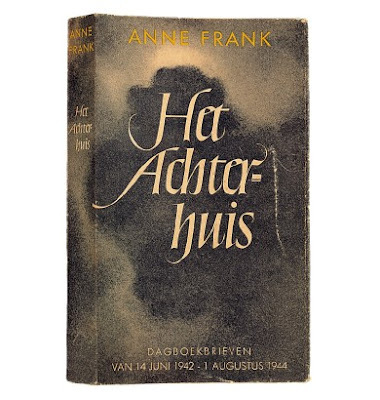 Three to Four weeks later, the entire family of four go into hiding in Otto Frank(Anne's Father's) office building. Another family of three: van Pels also join them along with a dentist. Anne thinks: "Paper has more patience than people", and hence she writes all her experiences in her diary, whom she addresses "Kitty", in the hidden building about the tension that prevailed of getting caught by the Nazi's, the fear of the typewriter getting stolen, listening to the radio which was their only source of media, the hope of being freed and going back to school someday..etc. Like any other teenager girl she too had differences and fights with her mother. Her style of writing is unique. Nobody can ever think a teenage girl can pen down such inner thoughts. In her diary she brings the amount of suffering faced by the Jews during the Nazi rule. Thousands of people went into hiding due to the fear of being caught and put into camps or prison. Few helpers who brought in the necessary items like the vegetables, books, clothes for the survival of eight people in hiding were Miep Gies, Jan Gies, Johannes Kleiman, Victor Kugler, Bep Voskuijl and Johannes Hendrik Voskuijl(Bep's father). I was deeply moved after I completed reading her diary. Being at home for four continuos days was boring. But these 8 people spent two years in hiding, thir existence was unknown to the world. Even while using the lights, the restrooms, and while talking-they had to polite such that nobody else could figure out. The 8 people in hiding were sent to the camps and the 2 helps were put to prison. Peter's father was unable to work in the camp and hence was sent to the gas chamber and killed. Anne's mother dies due to starvation. She had preserved the food given to her for her daughters. But she couldn't find them at all. Dur to the spread of epidemic disease, Margot and Anne die. Otto Frank was the only survivor among the eight. After the people from the camps were released, he learns from Miep, that his wife and both his daughters were no more. Miep, who had preserved the diary with utmost care, hands over to Mr. Frank. Otto Frank struggles to get his daughter's diary published. The hiding place was converted to Anne Frank House: a museum. Otta Frank dies in 1980. The suffering caused by a bad dictator was intolerable. The disgusting ruler who made the innocent lives die in the Gas Chamber. History has a record of good monarchs who served selflessly and the dictators like Hitler, Mussuloni, under whom people suffered. During the World War, the worle world was shaken. Each and every nation suffered. While I type this post, it brings tears in my eyes. ***Few excerpts from her diary which I couldn't stop from posting here. "Paper has more patience than people." I thought of this saying on one of those days when I was feeling a little depressed and was sitting at home with my chin in my hands, bored and listless, wondering whether to stay in or go out. I finally stayed where I was, brooding. Yes, paper does have more patience, and since I'm not planning to let anyone else read this stiff-backed notebook grandly referred to as a "diary," unless I should ever find a real friend, it probably won't make a bit of difference. Let me put it more clearly, since no one will believe that a thirteen year-old girl is completely alone in the world. And I'm not. I have loving parents and a sixteen-year-old sister, and there are about thirty people I can call friends. I have a throng of admirers who can't keep their adoring eyes off me and who sometimes have to resort to using a broken pocket mirror to try and catch a glimpse of me in the classroom. I have a family, loving aunts and a good home. No, on the surface I seem to have everything, except my one true friend. All I think about when I'm with friends is having a good time. I can't bring myself to talk about anything but ordinary everyday things. We don't seem to be able to get any closer, and that's the problem. Maybe it's my fault that we don't confide in each other. In any case, that's just how things are, and unfortunately they're not liable to change. This is why I've started the diary. After May 1940 the good times were few and far between: first there was the war, then the capitulation and then the arrival of the Germans, which is when the trouble started for the Jews. Our freedom was severely restricted by a series of anti-Jewish decrees: Jews were required to wear a yellow star; Jews were required to turn in their bicycles; Jews were forbidden to use street-cars; Jews were forbidden to ride in cars, even their own; Jews were required to do their shopping between 3 and 5 P.M.; Jews were required to frequent only Jewish-owned barbershops and beauty parlors; Jews were forbidden to be out on the streets between 8 P.M. and 6 A.M.; Jews were forbidden to attend theaters, movies or any other forms of entertainment; Jews were forbidden to use swimming pools, tennis courts, hockey fields or any other athletic fields; Jews were forbidden to go rowing; Jews were forbidden to take part in any athletic activity in public; Jews were forbidden to sit in their gardens or those of their friends after 8 P.M.; Jews were forbidden to visit Christians in their homes; Jews were required to attend Jewish schools, etc. You couldn't do this and you couldn't do that, but life went on. Jacque always said to me, "I don't dare do anything anymore, 'cause I'm afraid it's not allowed." Last night the four of us went down to the private office and listened to England on the radio. I was so scared someone might hear it that I literally begged Father to take me back upstairs. Mother understood my anxiety and went with me. Whatever we do, we're very afraid the neighbors might hear or see us. We started off immediately the first day sewing curtains. Actually, you can hardly call them that, since they're nothing but scraps of fabric, varying greatly in shape, quality and pattern, which Father and I stitched crookedly together with unskilled fingers. These works of art were tacked to the windows, where they'll stay until we come out of hiding. On March, 29th, 1944, Anne listens to the radio that the diaries and letters of the people would be col lected and publishes after war. Hence, she re-writes the diary adding comments on the separate sheets of papers wherever necessary. Mr. Bolkestein, the Cabinet Minister, speaking on the Dutch broadcast from London, said that after the war a collection would be made of diaries and letters dealing with the war. Of course, everyone pounced on my diary. Just imagine how interesting it would be if I were to publish a novel about the Secret Annex. The title alone would make people think it was a detective story. Seriously, though, ten years after the war people would find it very amusing to read how we lived, what we ate and what we talked about as Jews in hiding. Although I tell you a great deal about our lives, you still know very little about us. How frightened the women are during air raids; last Sunday, for instance, when 350 British planes dropped 550 tons of bombs , so that the houses trembled like blades of grass in the wind. Or how many epidemics are raging here. the house for even five minutes, since they're liable to come back and find all their belongings gone. Every day the newspapers are filled with reward notices for the return of stolen typewriters, Persian rugs, electric clocks, fabrics, etc. The electric clocks on street corners are dismantled, public phones are stripped down to the last wire. Morale among the Dutch can't be good. Everyone's hungry; except for the ersatz coffee, a week's food ration doesn't last two days. The invasion's long in coming, the men are being shipped off to Germany, the children are sick or undernourished, everyone's wearing worn-out clothes and run-down shoes. A new sole costs 7.50 guil- ders on the black market. Besides, few shoemakers will do repairs, or if they do, you have to wait four months for your shoes, which might very well have disappeared in the meantime. One good thing has come out of this: as the food gets worse and the decrees more severe, the acts of sabotage against the authorities are increasing. The ration board, the police, the officials-they're all either helping their fellow citizens or denouncing them and sending them off to prison. Fortunately, only a small percentage of Dutch people are on the wrong side. She laments over the loss of her fountain pen with which she had written pages together. When I was ten, I was allowed to take the pen to school, and to my surprise, the teacher even let me write with it. When I was eleven, however, my treasure had to be tucked away again, because my sixth-grade teacher allowed us to use only school pens and inkpots. When I was twelve, I started at the Jewish Lyceum and my fountain pen was given a new case in honor of the occasion. Not only did it have room for a pencil, it also had a zipper, which was much more impressive. When I was thirteen, the fountain pen went with me to the Annex, and together we've raced through countless diaries and compositions. I'd turned fourteen and my fountain pen was enjoying the last year of its life with me when . . . It was just after five on Friday afternoon. I came out of my room and was about to sit down at the table to write when I was roughly pushed to one side to make room for Margot and Father, who wanted to practice their Latin. The fountain pen remained unused on the table, while its owner, sighing, was forced to make do with a very tiny corner of the table, where she began rubbing beans. That's how we remove mold from the beans and restore them to their original state. At a quarter to six I swept the floor, dumped the dirt into a news paper, along with the rotten beans, and tossed it into the stove. A giant flame shot up, and I thought it was wonderful that the stove, which had been gasping its last breath, had made such a miraculous recovery. "Maybe it fell in the stove, along with the beans!" Margot suggested. "No, it couldn't have!" I replied. But that evening, when my fountain pen still hadn't turned up, we all assumed it had been burned, especially because celluloid is highly inflammable. 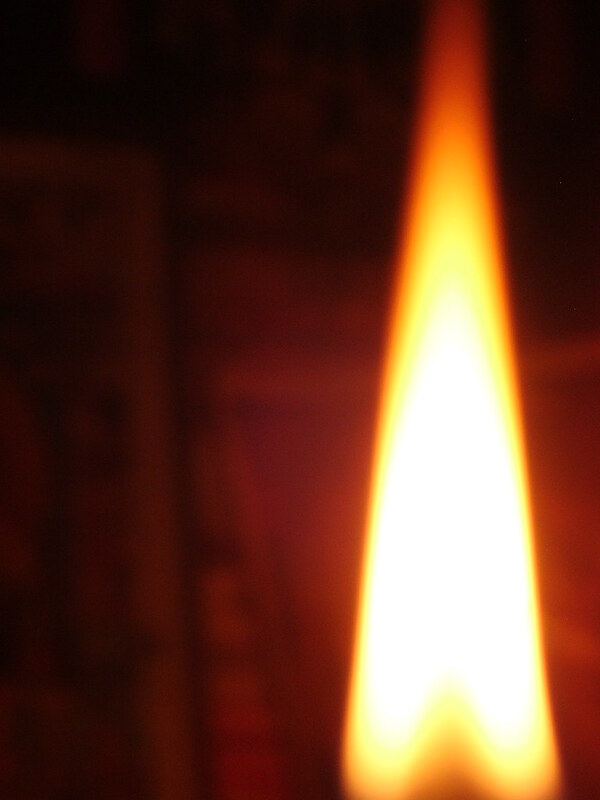 Our darkest fears were confirmed the next day when Father went to empty the stove and discovered the clip, used to fasten it to a pocket, among the ashes. Not a trace of the gold nib was left. "It must have melted into stone," Father conjectured. I'm left with one consolation, small though it may be: my fountain pen was cremated, just as I would like to be someday! This morning I was wondering whether you ever felt like a cow, having to chew my stale news over and over again until you're so fed up with the monotonous fare that you yawn and secretly wish Anne would dig up something new. Sorry, I know you find it dull as ditchwater, but imagine how sick and tired I am of hearing the same old stuff. If the talk at mealtime isn't about politics or good food, then Mother or Mrs. van D. trot out stories about their childhood that we've heard a thousand times before, or Dussel goes on and on about beautiful racehorses, his Charlotte's extensive wardrobe, leaky rowboats, boys who can swim at the age of four, aching muscles and frightened patients. It all boils down to this: whenever one of the eight of us opens his mouth, the other seven can finish the story for him. We know the punch line of every joke before it gets told, so that whoever's telling it is left to laugh alone. The various milkmen, grocers and butchers of the two former housewives have been praised to the skies or run into the ground so many times that in our imaginations they've grown as old as Methuselah; there's absolutely no chance of anything new or fresh being brought up for discussion in the Annex. Still, all this might be bearable if only the grown-ups weren't in the habit of repeating the stories we hear from Mr. Kleiman, jan or Miep, each time embellishing them with a few details of their own, so that I often have to pinch my arm under the table to keep myself from setting the enthusiastic storyteller on the right track. Little children, such as Anne, must never, ever correct their elders, no matter how many blunders they make or how often they let their imaginations run away with them. Jan and Mr. Kleiman love talking about people who have gone underground or into hiding; they know we're eager to hear about others in our situation and that we truly sympathize with the sorrow of those who've been arrested as well as the joy of prisoners who've been freed. Going underground or into hiding has become as routine as the proverbial pipe and slippers that used to await the man of the house after a long day at work. There are many resistance groups, such as Free Netherlands, that forge identity cards, provide financial support to those in hiding, organize hiding places and find work for young Christians who go underground. It's amazing how much these generous and unselfish people do, risking their own lives to help and save others. The best example of this is our own helpers, who have managed to pull us through so far and will hopefully bring us safely to shore, because otherwise they'll find themselves sharing the fate of those they're trying to protect. Never have they uttered a single word about the burden we must be, never have they complained that we're too much trouble. They come upstairs every day and talk to the men about business and politics, to the women about food and wartime difficulties and to the children about books and newspapers. They put on their most cheerful expressions, bring flowers and gifts for birthdays and holidays and are always ready to do what they can. That's something we should never forget; while others display their heroism in battle or against the Germans, our helpers prove theirs every day by their good spirits and affection. The most bizarre stories are making the rounds, yet most of them are really true. For instance, Mr. Kleiman reported this week that a soccer match was held in the province of Gelderland; one team consisted entirely of men who had gone underground, and the other of eleven Military Policemen. In Hilversum, new registration cards were issued. In order for the many people in hiding to get their rations (you have to show this card to obtain your ration book or else pay 60 guilders a book), the registrar asked all those hiding in that district to pick up their cards at a specified hour, when the documents could be collected at a separate table. All the same, you have to be careful that stunts like these don't reach the ears of the Germans. Anne falls in love with Peter who lives with them in hiding. She finds a new friend in him. and who doesn't have to be shared with anyone else! They also suffer the shortage of food and Anne calls it: Food Cycle. Contrary to my usual practice, I'm going to write you a detailed description of the food situation, since it's become a matter of some difficulty and importance, not only here in the Annex, but in all of Holland, all of Europe and even beyond. In the twenty-one months we've lived here, we've been through a good many "food cycles" -- you'll understand what that means in a moment. A "food cycle" is a period in which we have only one particular dish or type of vegetable to eat. For a long time we ate nothing but endive. Endive with sand, endive without sand, endive with mashed potatoes, endive-and-mashed potato casserole. Then it was spinach, followed by kohlrabi, salsify, cucumbers, tomatoes, sauerkraut, etc., etc. It's not much fun when you have to eat, say, sauer- kraut every day for lunch and dinner, but when you're hungry enough, you do a lot of things. Now, however, we're going through the most delightful period so far, because there are no vegetables at all. Our weekly lunch menu consists of brown beans, split-pea soup, potatoes with dumplings, potato kugel and, by the grace of God, turnip greens or rotten carrots, and then it's back to brown beans. Because of the bread shortage, we eat potatoes at every meal, starting with breakfast, but then we fry them a little. To make soup we use brown beans, navy beans, potatoes, packages of vege- table soup, packages of chicken soup and packages of bean soup. There are brown beans in everything, including the bread. For dinner we always have potatoes with imitation gravy and -- thank goodness we've still got it -- beet salad. I must tell you about the dumplings. We make them with government-issue flour, water and yeast. They're so gluey and tough that it feels as if you had rocks in your stomach, but oh well! The high point is our weekly slice of liverwurst, and the jam on our unbuttered bread. But we're still alive, and much of the time it still tastes good too! newspaper articles, I can always write for myself. But I want to achieve more than that. I can't imagine having to live like Mother, Mrs. van Daan and all the women who go about their work and are then forgotten. I need to have something besides a husband and children to devote myself to! I don't want to have lived in vain like most people. I want to be useful or bring enjoyment to all people, even those I've never met. I want to go on living even after my death! And that's why I'm so grateful to God for having given me this gift, which I can use to develop myself and to express all that's inside me! I hope so, oh, I hope so very much, because writing allows me to record everything, all my thoughts, ideals and fantasies. In their annex, there were two cats which roamed around all the time and kept the rats away. Thus, safeguarding their belongings. One of the cat: Boche, goes missing and was never found again. Have I told you that our Boche has disappeared? We haven't seen hide nor hair of her since last Thursday. She's probably already in cat heaven, while some animal lover has turned her into a tasty dish. Perhaps some girl who can afford it will be wearing a cap made of Boche's fur. Peter is heartbroken. One of many questions that have often bothered me is why women have been, and still are, thought to be so inferior to men. It's easy to say it's unfair, but that's not enough for me; I'd really like to know the reason for this great injustice! Men presumably dominated women from the very beginning because of their greater physical strength; it's men who earn a living, beget children and do as they please. . . Until recently, women silently went along willing this, which was stupid, since the longer it's kept up, the more deeply entrenched it becomes. Fortunately, education, work and progress have opened women's eyes. In many countries they've been granted equal rights; many people, mainly women, but also men, now realize how wrong it was to tolerate this state of affairs for so long. Modern women want the right to be completely independent! But that's not all. Women should be respected as well! Generally speaking, men are held in great esteem in all parts ofthe world, so why shouldn't women have their share? Soldiers and war heroes are honored and commemorated, explorers are granted immortal fame, martyrs are revered, but how many people look upon women too as soldiers? children soon leave, her beauty is gone. Women, who struggle and suffer pain to ensure the con- tinuation of the human race, make much tougher and more courageous soldiers than all those big-mouthed freedom-fighting heroes put together! I agree completely with Paul de Kruif, the author of this book, when he says that men must learn that birth is no longer thought of as inevitable and unavoidable in those parts of the world we consider civthzed. It's easy for men to talk -- they don't and never will have to bear the woes that women do! I believe that in the course of the next century the notion that it's a woman's duty to have children will change and make way for the respect and admiration of all women, who bear their burdens without complaint or a lot of pompous words! Thanks Manasa for sharing it. It never fails to touch. I m grateful for the trouble you took for giving us the excerpts from the book. Read it after a long time. Courtesy you. My daughter wants a copy of it immediately. The moment she saw Anne's picture on this page, she recognized it. Itz a touching classic. I havent read it but heard of it! Itz really a "different" kind of feeling when you think about the people from the past who suffered through all the evil. I stared at Ann Frank's photo for a long time! Will to live & succeed at that,is a great human instinct.Some come out successfully & some dont. Nice of you to have brought it out in your post. I want read this book for so long.. do we get the copies even now?? i read it ages ago and have been wanting to reread it again!! now am sure to do it someday soon!! I too feel extrememly bad about the things that happened under the nazis. I can understand what still brings you to tears. Have u seen The Pianist? Its a wonderful movie about this harsh reality. that is one of the most wonderful books that I have ever read, I had read it as a kid, long long time back. this bought back all the memories. Vishesh, You must read this book..
Compassion Unlimitted, Welcome abroad. Thanks and keep visiting. Sandeep, Yes. It is available. Cost is around 250 I guess, not sure. Mansi Trivedi, yeah. Sad story. Pranay, Haven't seen Pianist. Will watch it soon. Goli, Yes. This book has a great impact. This is a great blog, I m grateful for the trouble you took for giving us the excerpts from the book. Thanks.